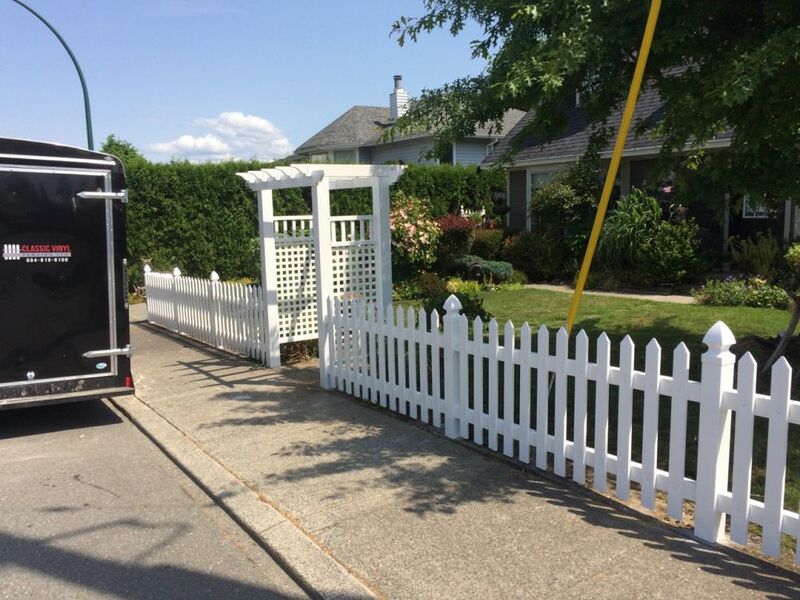 Classic Vinyl Fencing – The Finest Vinyl Fencing in Greater Vancouver, BC. Beef up security around your property with durable vinyl fencing that won’t fade or deteriorate, even with years of exposure. When privacy and appearance matter, choose either a completely solid fence or a vinyl privacy fence that features lattice or picket tops. Vinyl picket fencing is often less than 4’ tall, and is ideal for defining boundaries and securing small children or pets in an enclosed area. Spruce up your landscape with vinyl outdoor garden products designed to enhance the beauty and convenience of your outdoor space. Wood has long been known and used as the original security fence, offering maximum security at minimum costs. Professional quality, Custom work, Pride in workmanship…that’s Classic Vinyl Fencing!